This hill is in the townland of Letterettrin / Leitir Eitreann, 'hillside of furrows' [TR], a name which is topographical in origin and may indeed be an alternative name for the same hill. Walks: for a route along the S shore of Killary Harbour, see Kevin Corcoran, West of Ireland Walks, 102-10. 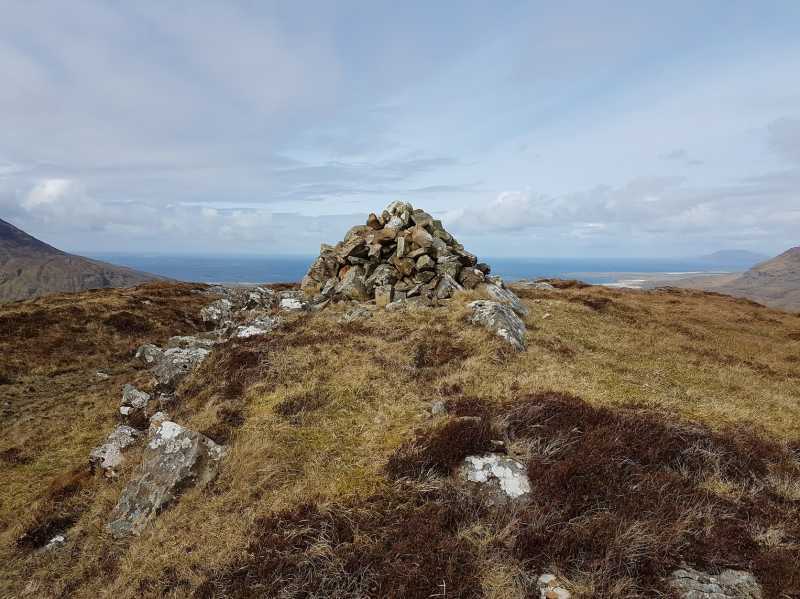 See Paddy Dillon, Connemara, for a similar walk (62-68) and also for a routes to the summit of Binn Mhór (57-61) and across Salrock Pass (69-73). Leitir Eitreann is the 1085th highest place in Ireland. Leitir Eitreann is the most northerly summit in the Twelve Bens area.